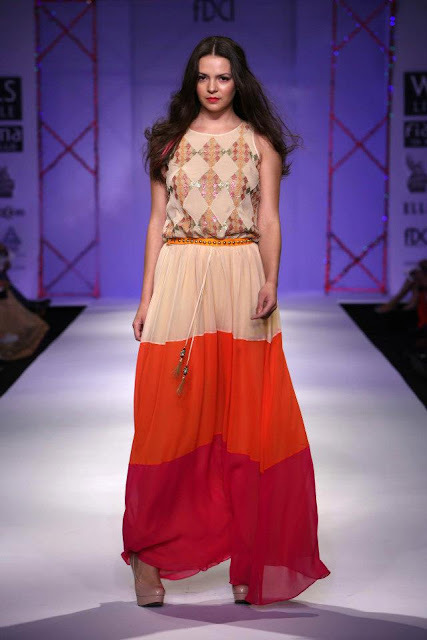 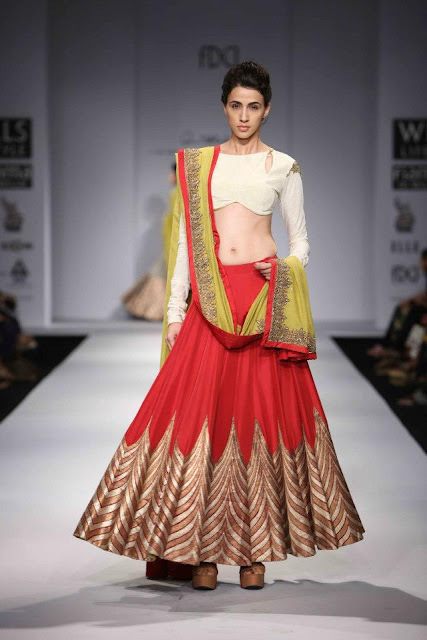 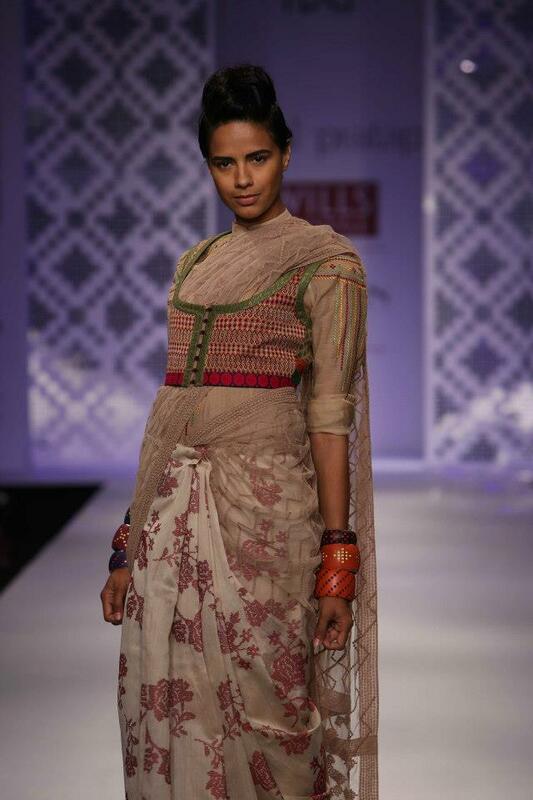 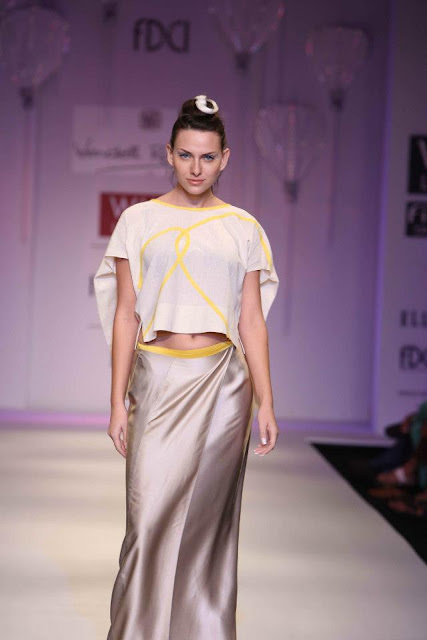 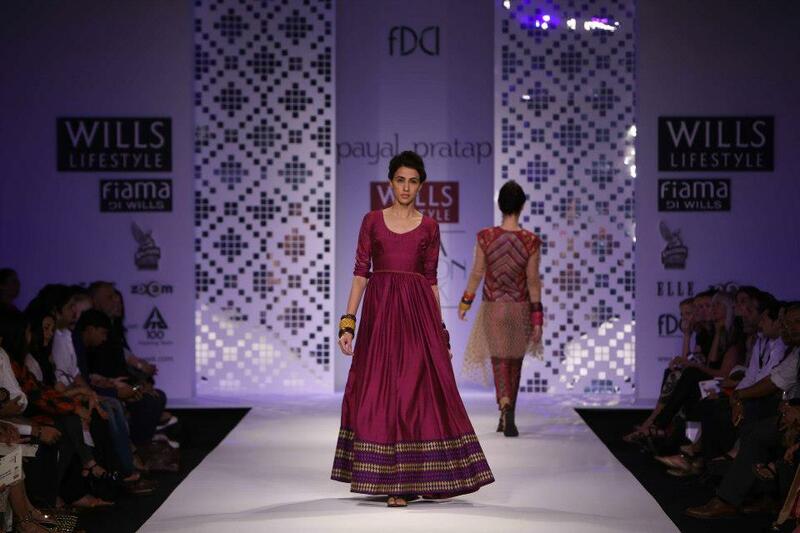 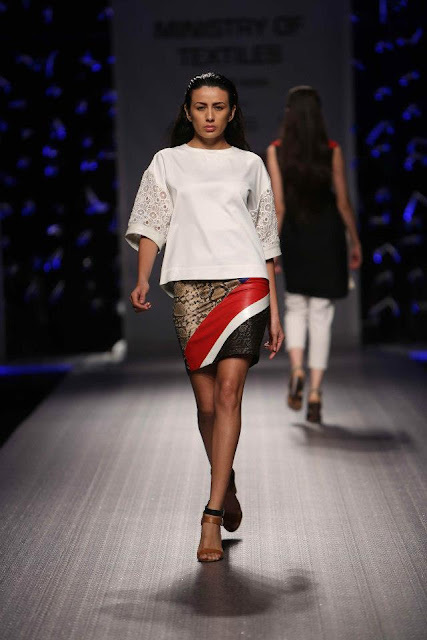 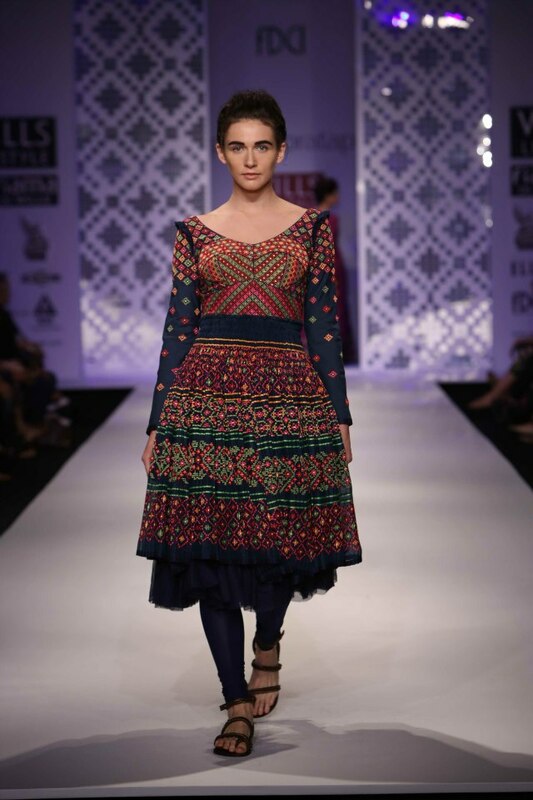 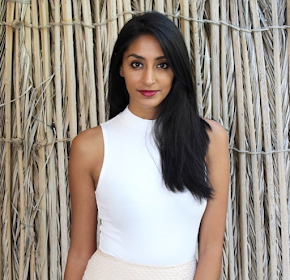 Payal Pratap Singh - High waistlines, silks, prints, and A-line skirts. 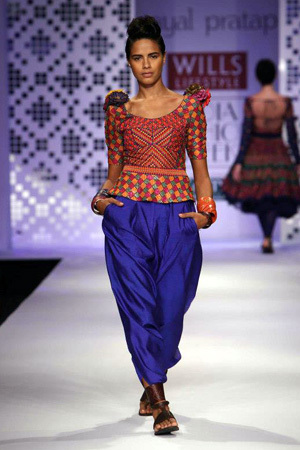 Atsu - Geometic and snake prints, love the high- waisted trousers. 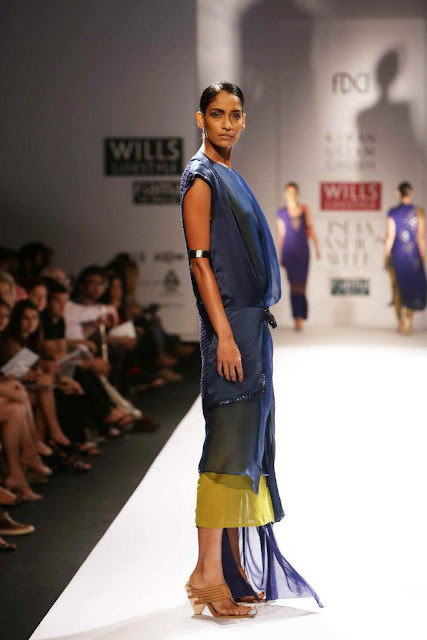 Anand Kabra - Lime green seen throughout the collection, asymmetrical wrap jackets. 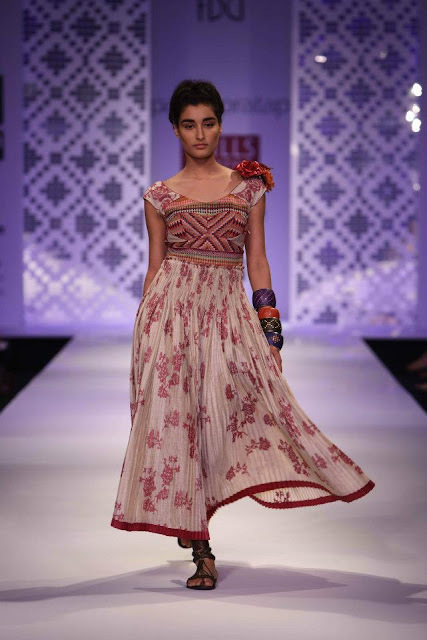 Geisha by Paras and Shalini - Orient inspired collection with a hint of the 20s, seeing lots of cute hair jewellery and long pretty dresses! 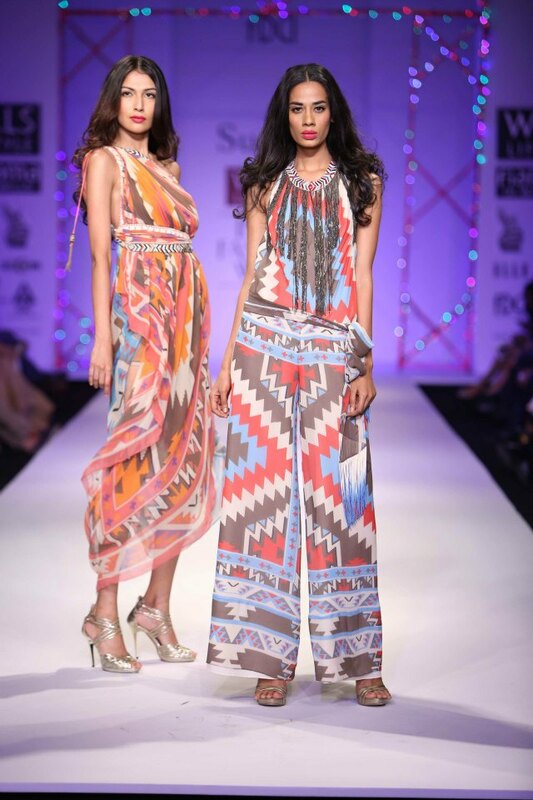 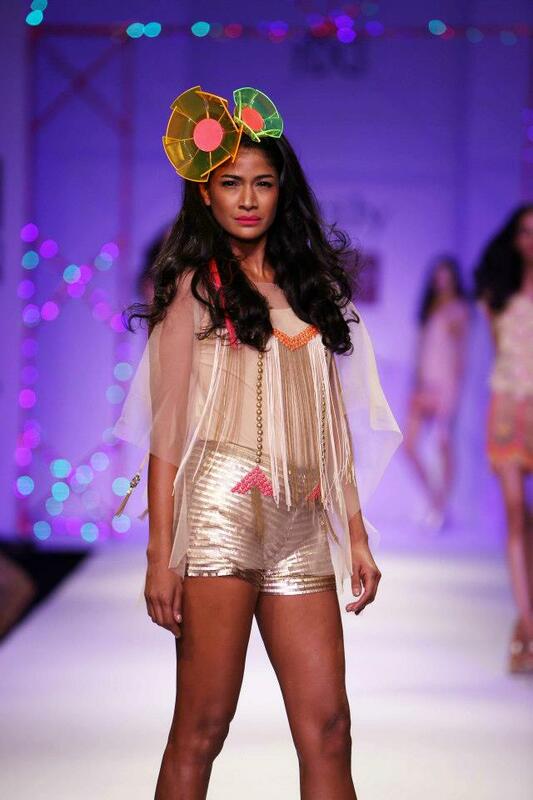 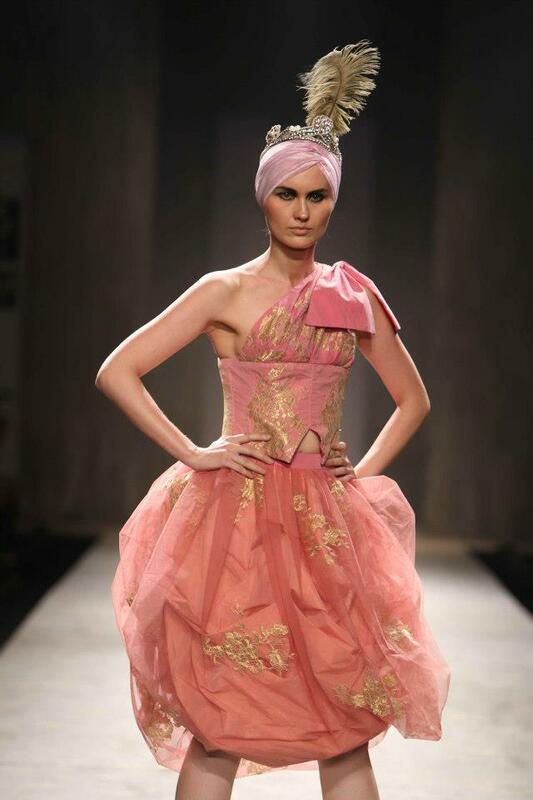 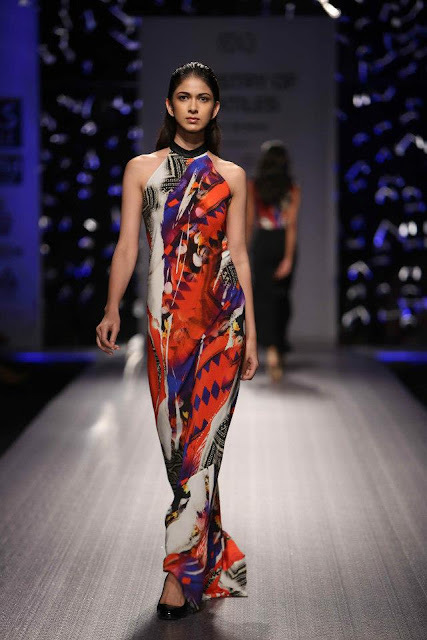 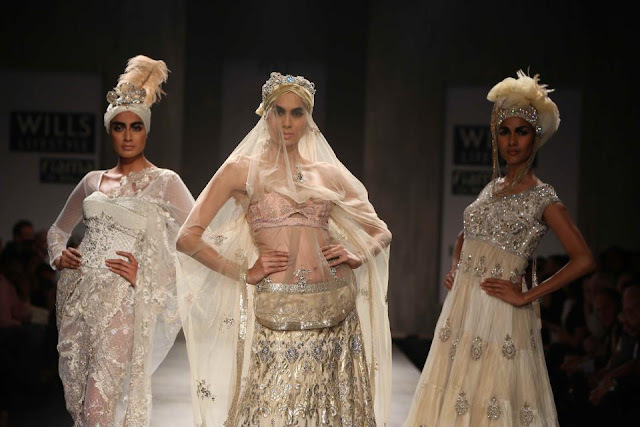 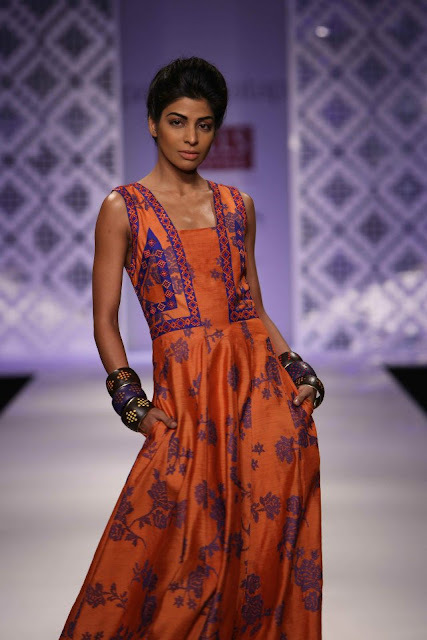 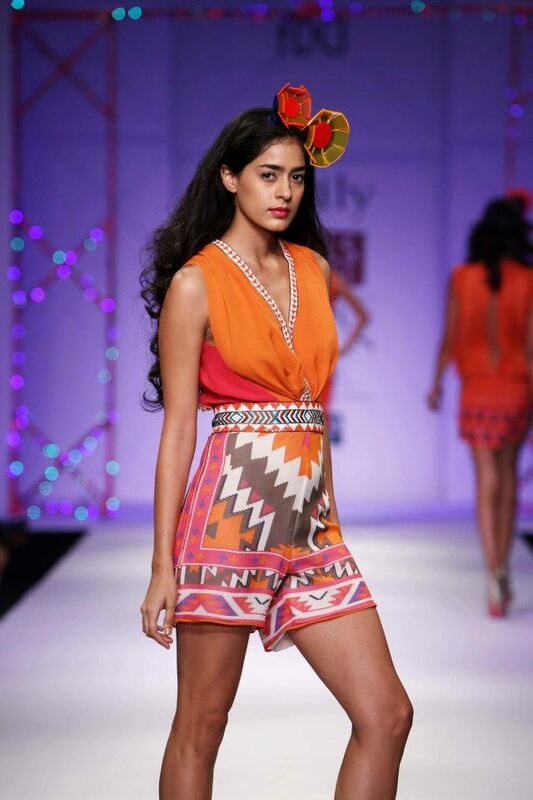 Paras & Shalini Surily - Fascinators and neon along with tribal-geometric prints used through out. 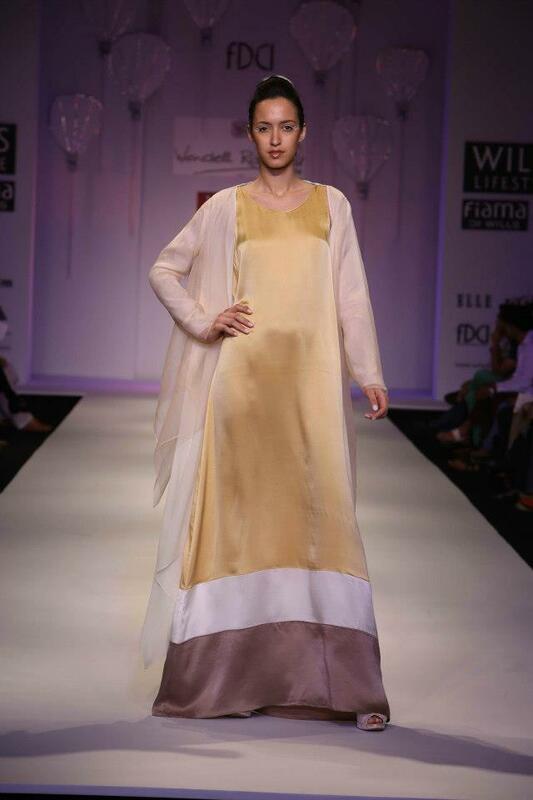 Kiran Uttam Ghosh Takia by Poonam Bhagat - A carefree collection that looks like it's been quickly thrown together - lots of layers. 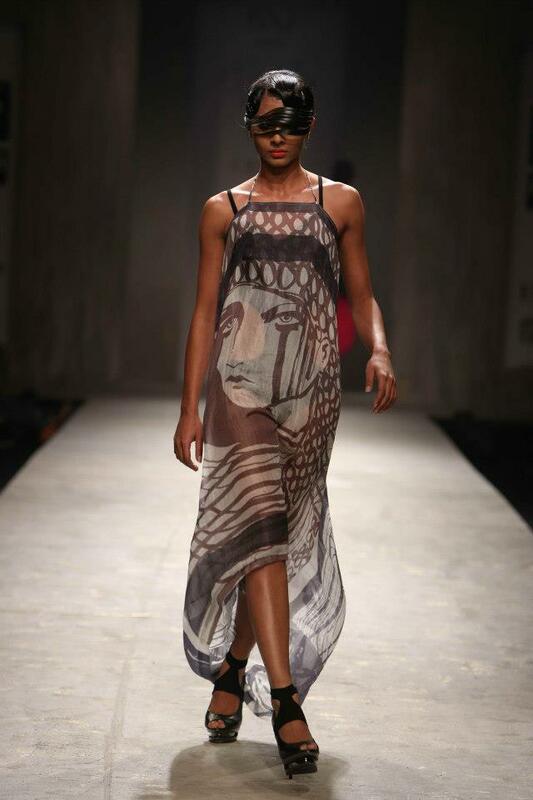 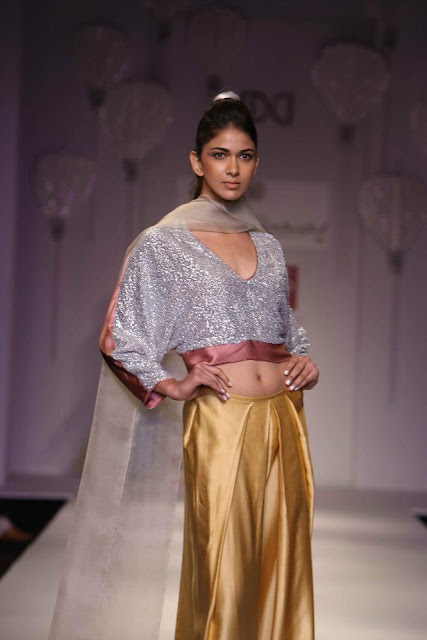 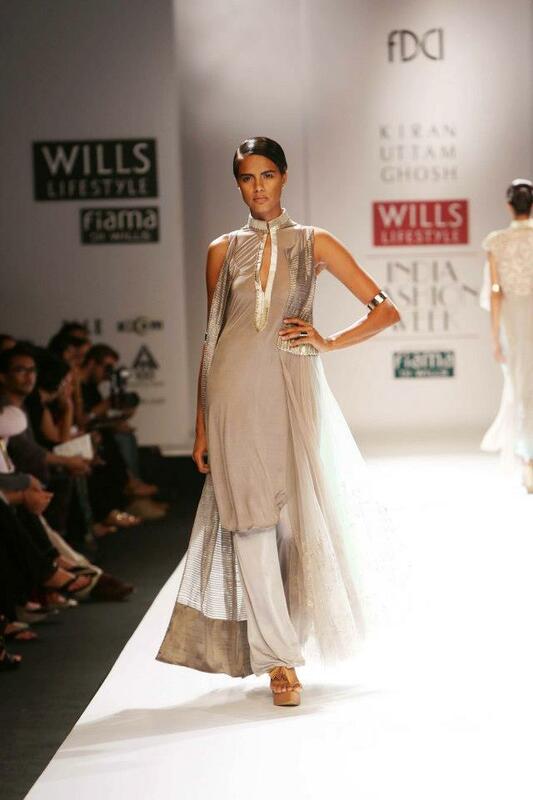 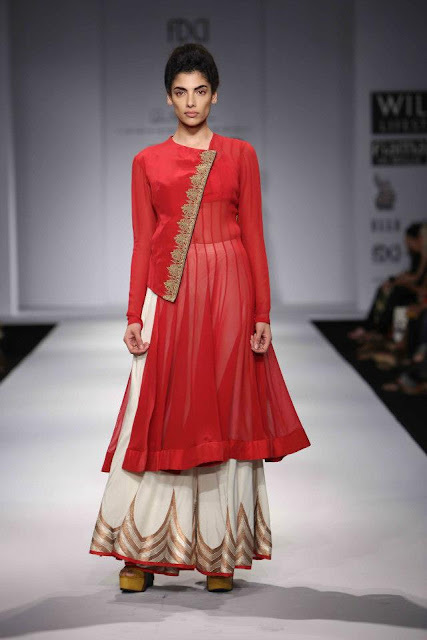 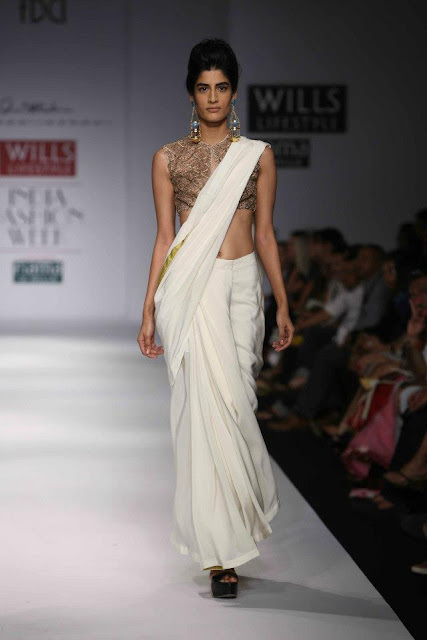 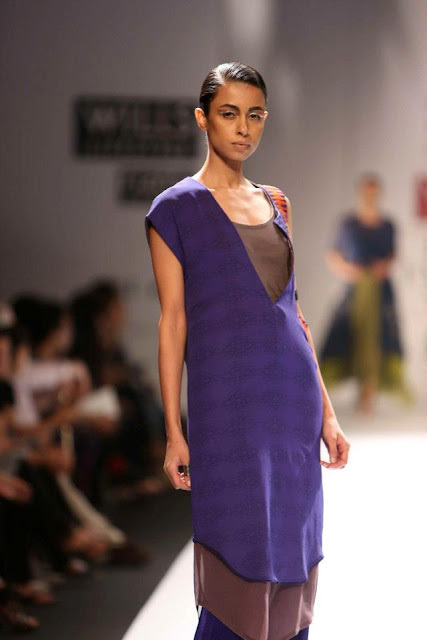 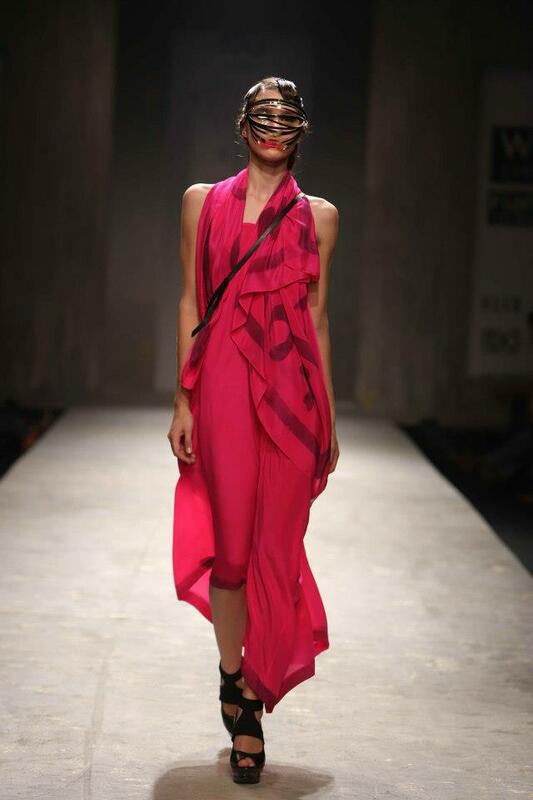 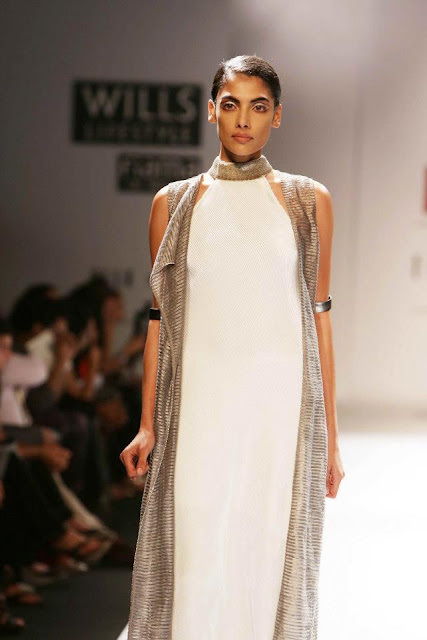 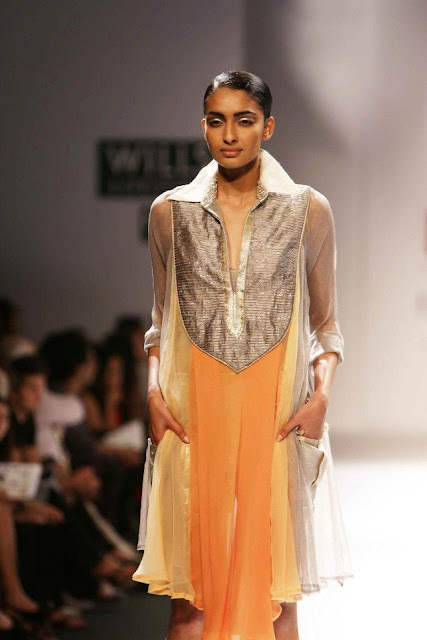 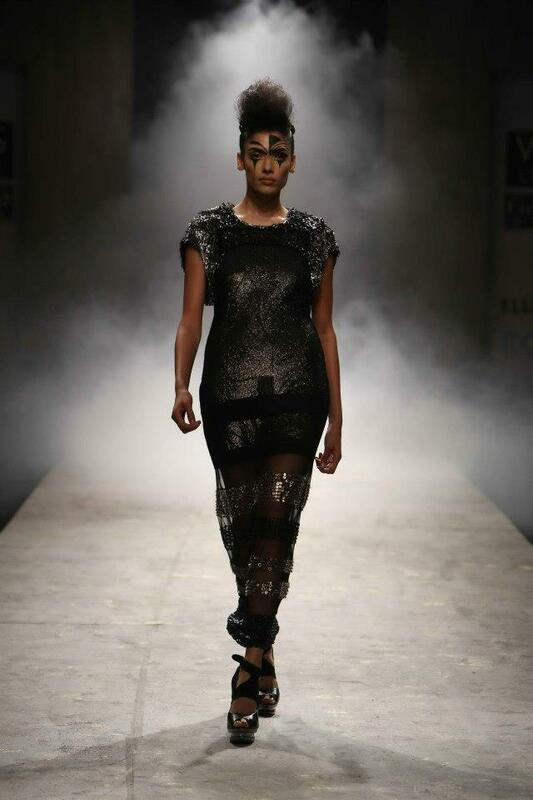 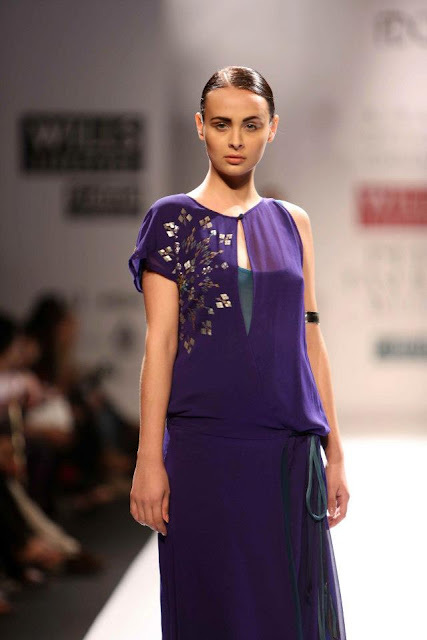 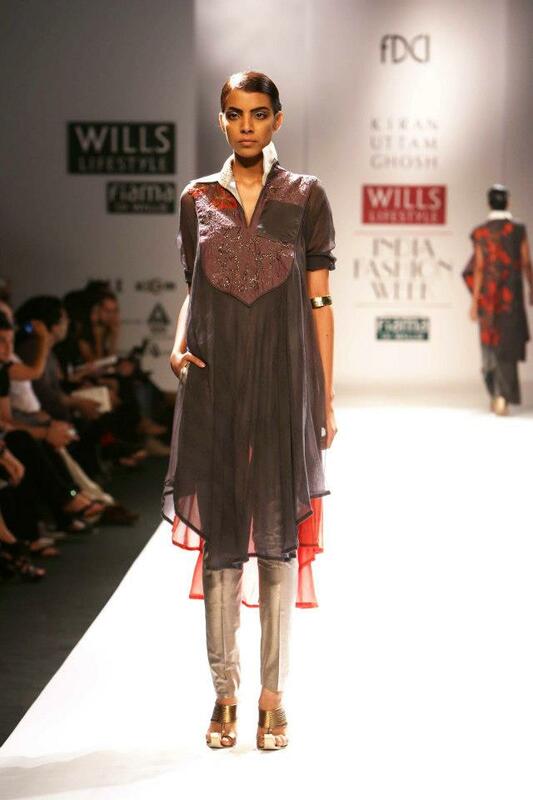 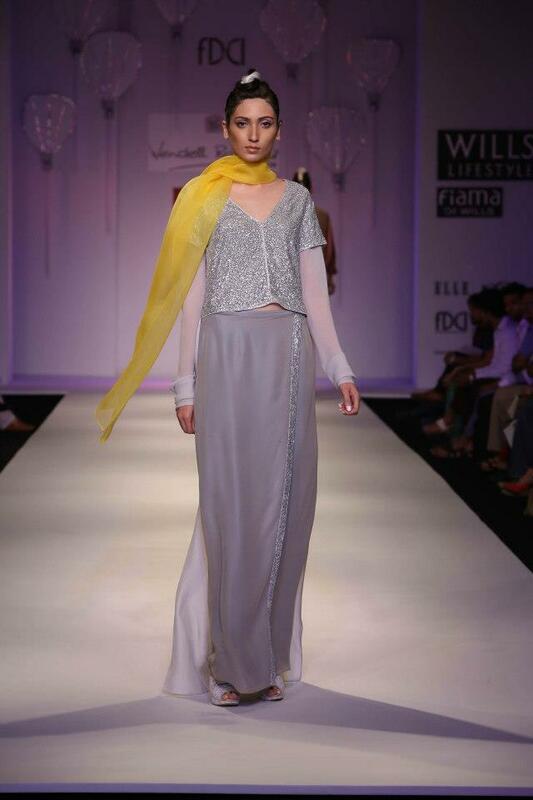 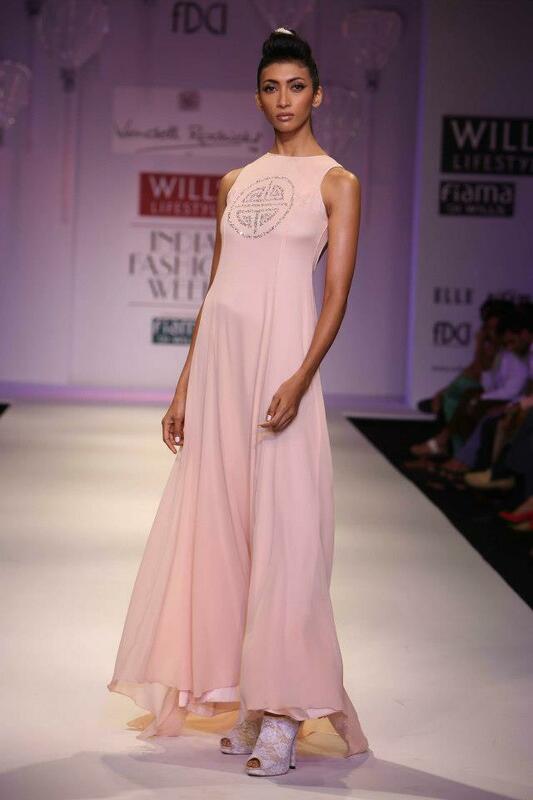 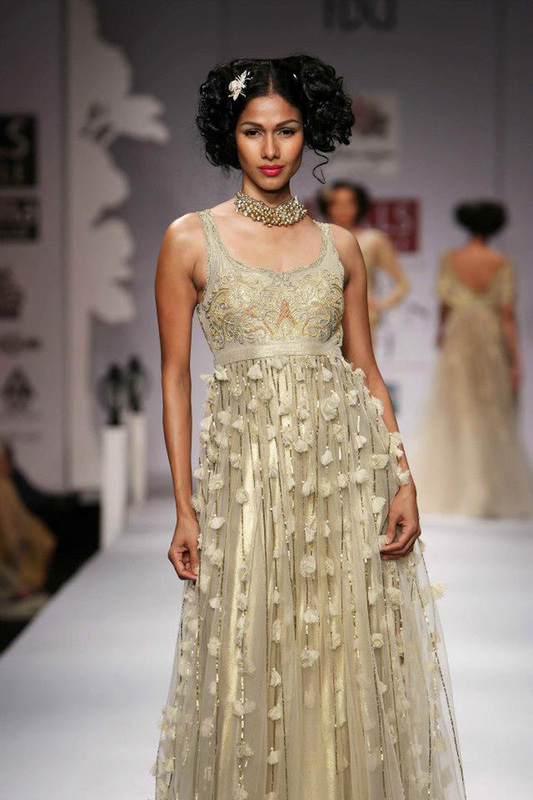 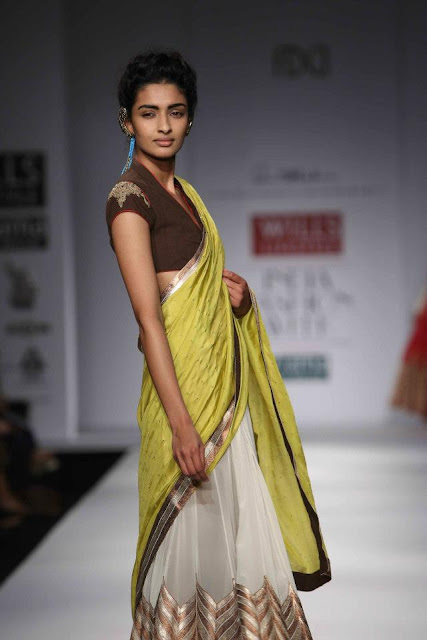 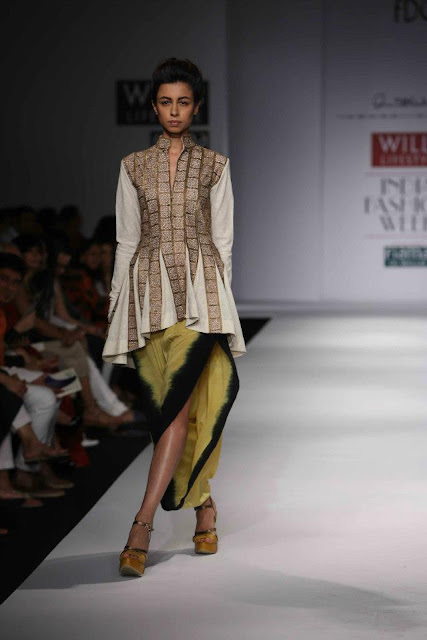 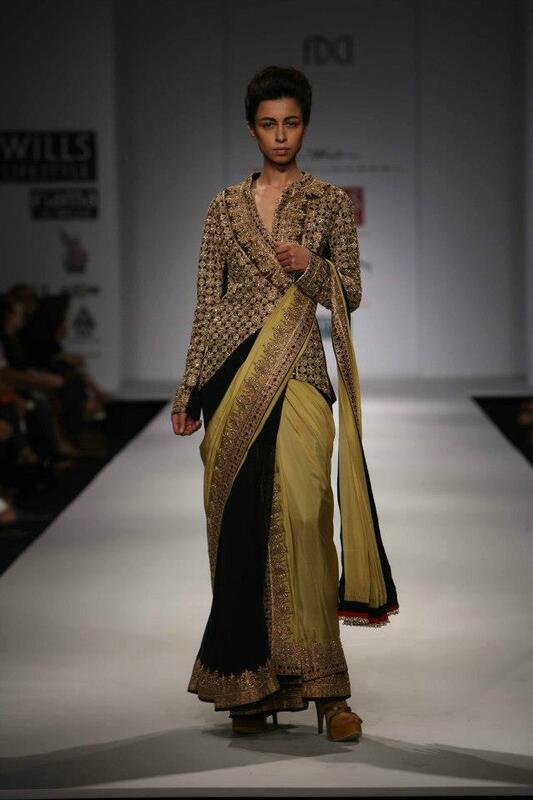 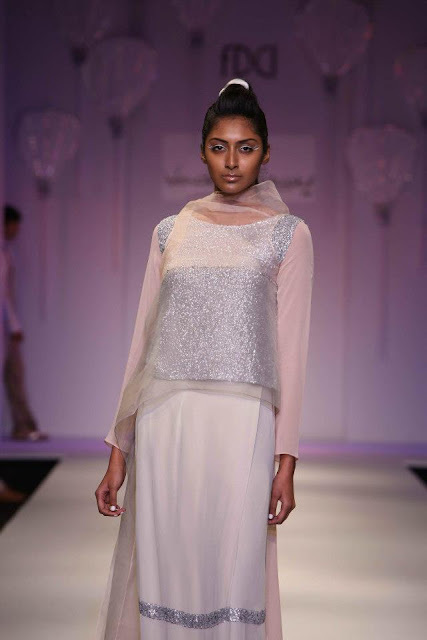 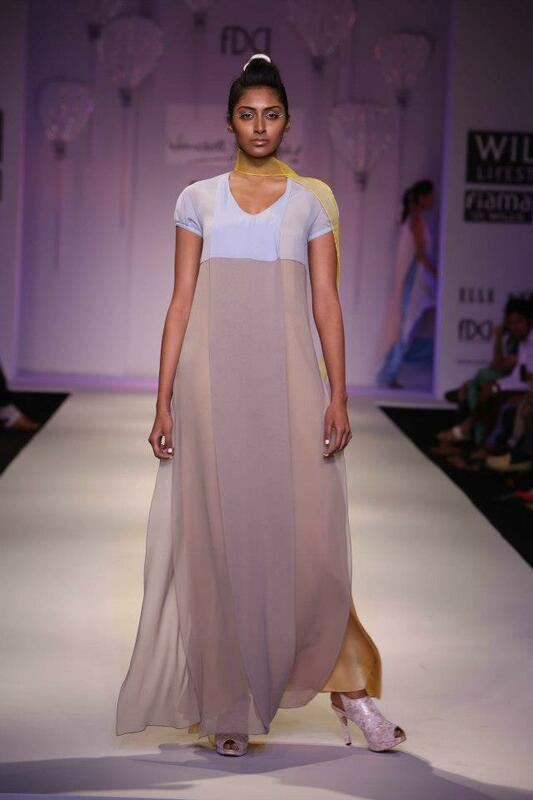 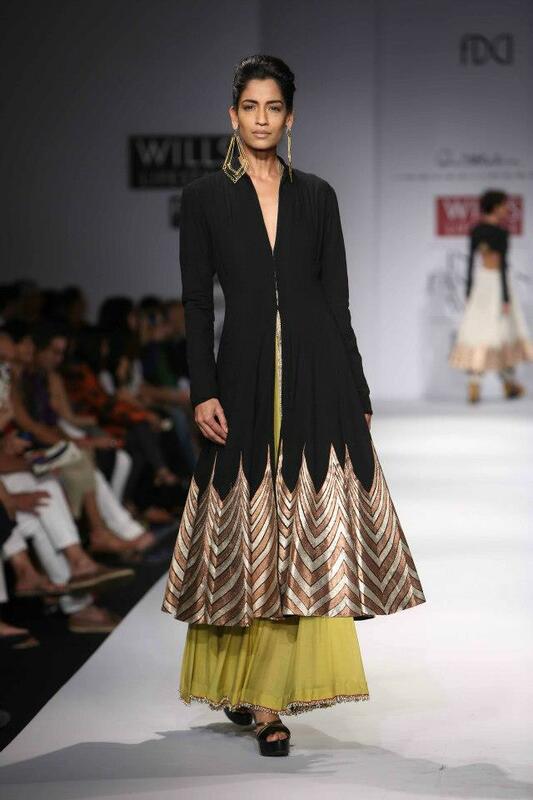 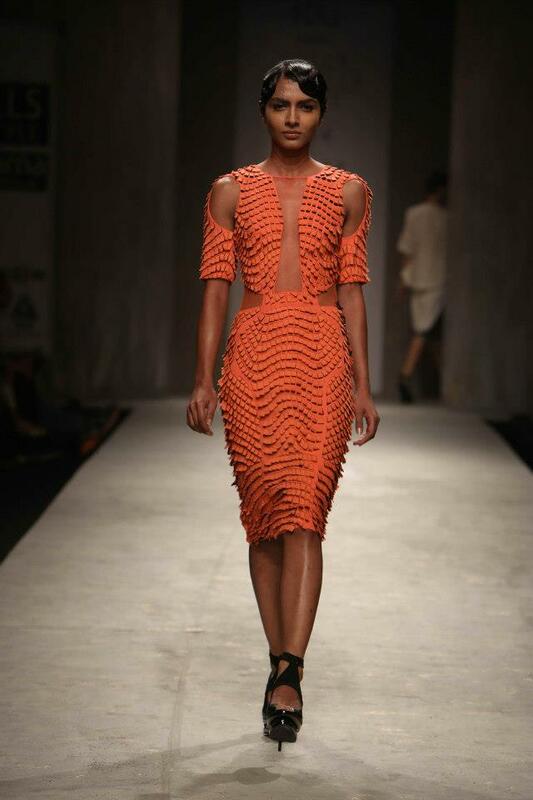 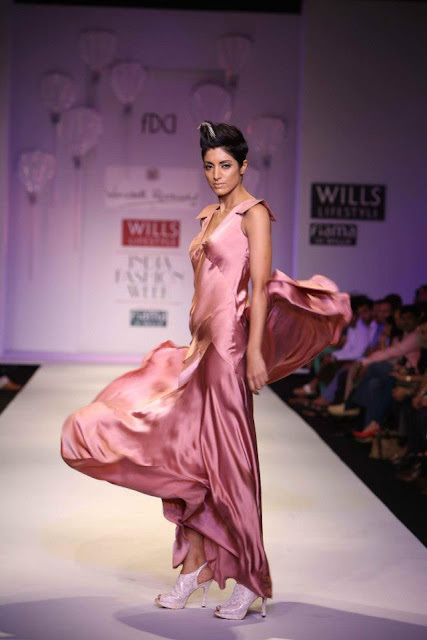 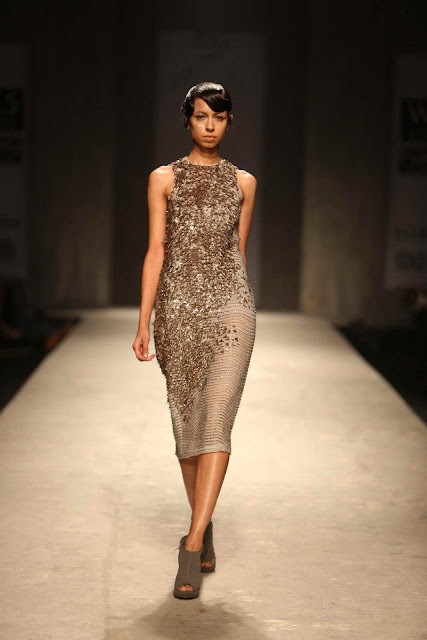 Wendell Rodricks - Sheer fabrics, lots of asymmetric layers. Looks like every other collection he's ever done, needs to experiment with more! 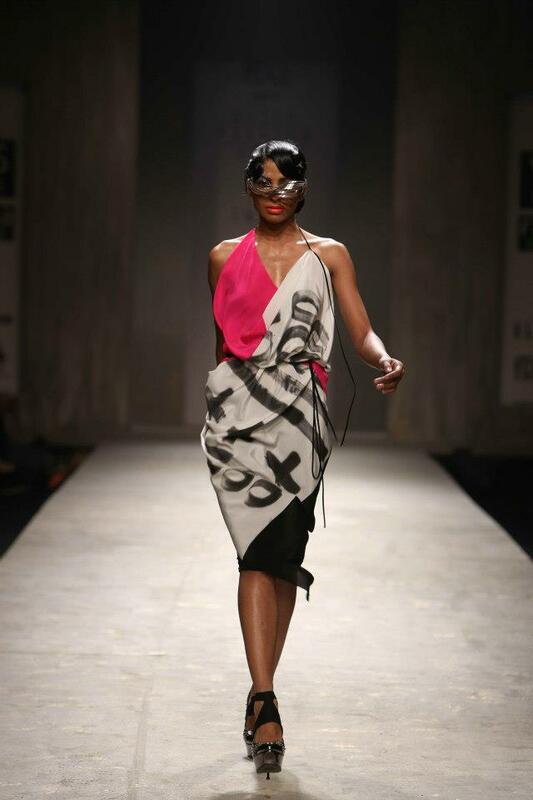 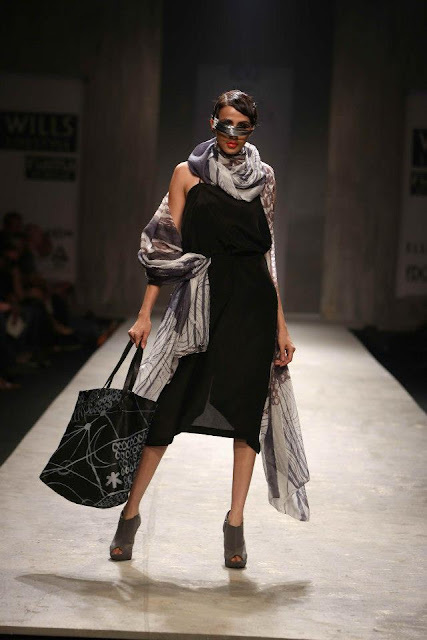 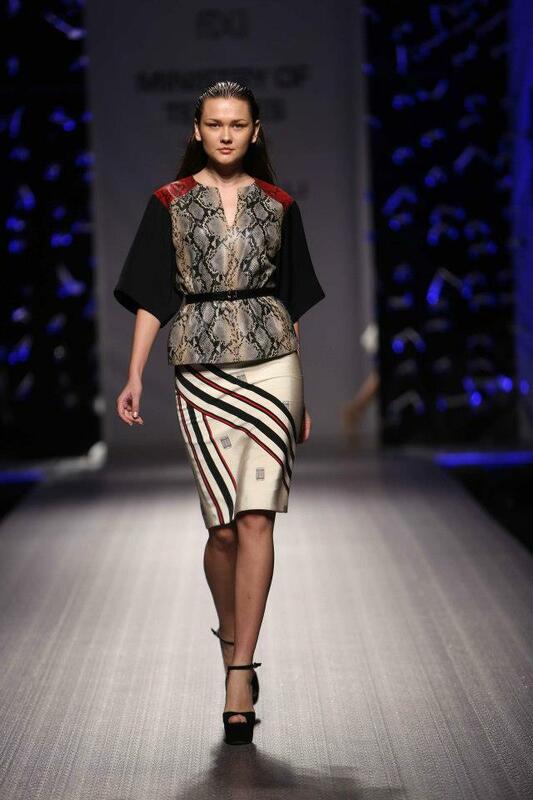 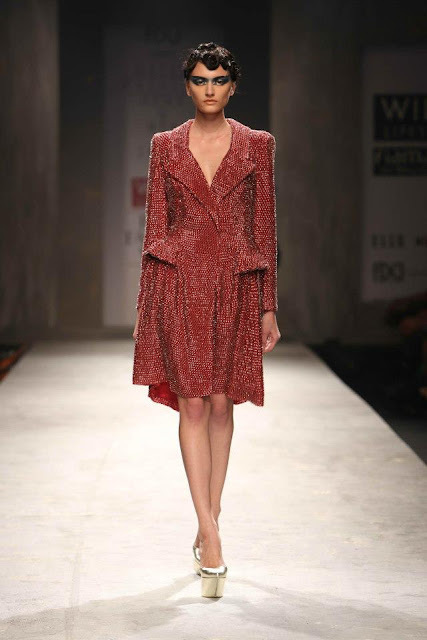 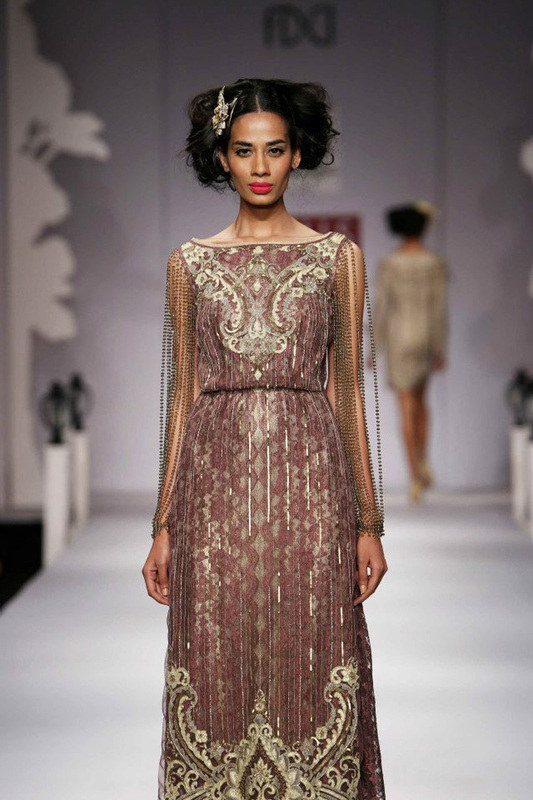 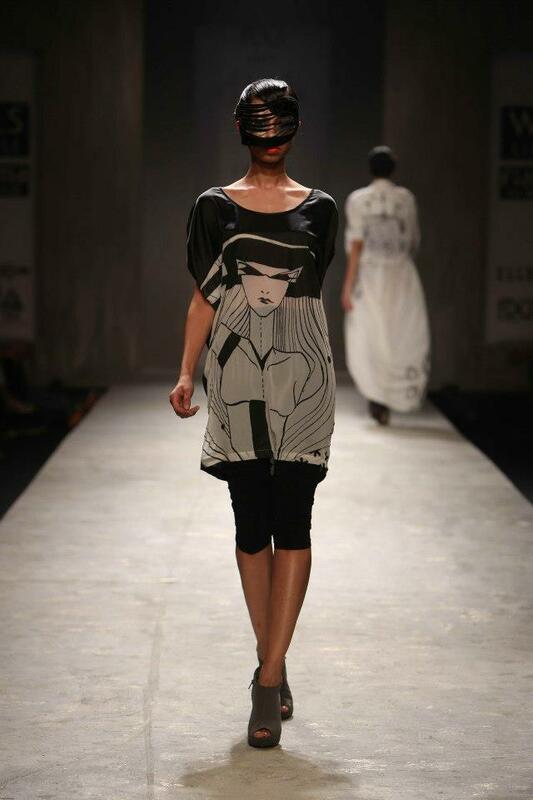 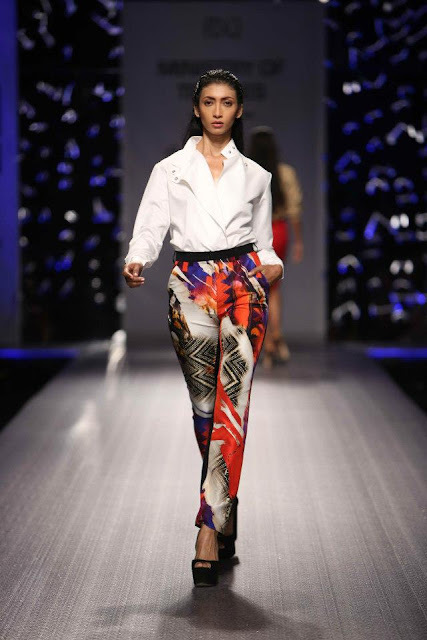 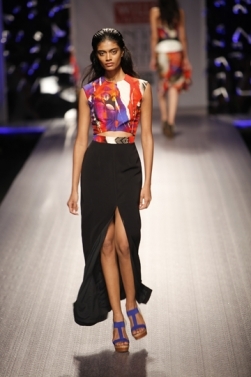 Dutch Fashion Here & Now India Presents 'DIED' by Rohit Ghandi and Rahul Khanna - Different collections with a city feel. 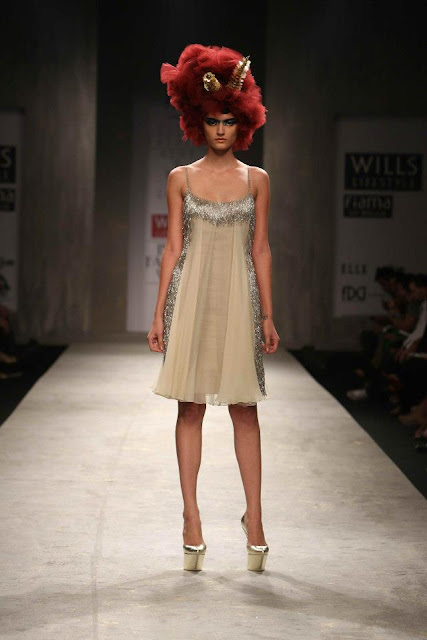 There seems to be a bit of everything - punk, glitz and glam.